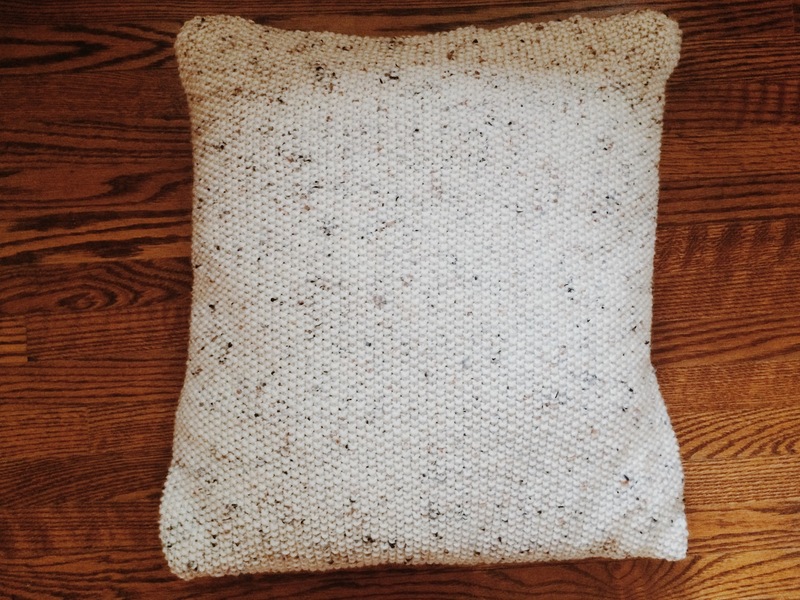 Knit: Pillow Cover – Yarn, Things, Etc. When I started this project I had no idea how long it would take. For something so simple (it’s really just two squares woven together) it ended up being the most knitting I’ve ever done. I almost feel ready to make a sweater at this point — and I say almost because it isn’t happening any time soon. When I start a project (as I’m sure many knitters will sympathize), I can hardly do anything but focus on finishing it. Since this pillow case took roughly two weeks to complete — keeping in mind that I work full time with little knitting time on weekdays — it was a bit of an issue this time around. But all in all, it’s my favourite project to date. I had hoarded a few skeins of Red Heart last year in various colours, so I had plenty to start with for this project. I’ve already started my next pillow cover but with size 11 needles. While the seed stitch looks amazing with thin yarn and size 8 needles, I was going insane after the first few days. I picked up a few of these grey IKEA pillows when I re-did my room last year. They are very cheap and VERY wrinkly; needless to say I don’t feel bad about covering them up! As always, please take this pattern with a grain of salt. I often make things up as I go, but hopefully it will inspire you to re-purpose old throw pillows before you throw them away! Pattern to fit a standard IKEA pillow. 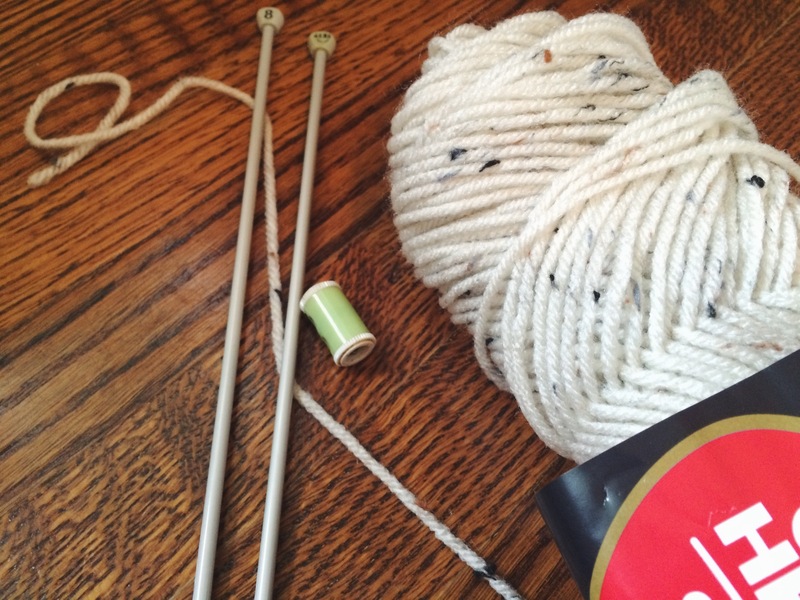 To start, knit a swatch of 5 rows across 10 stitches to determine your total number of cast-on stitches. 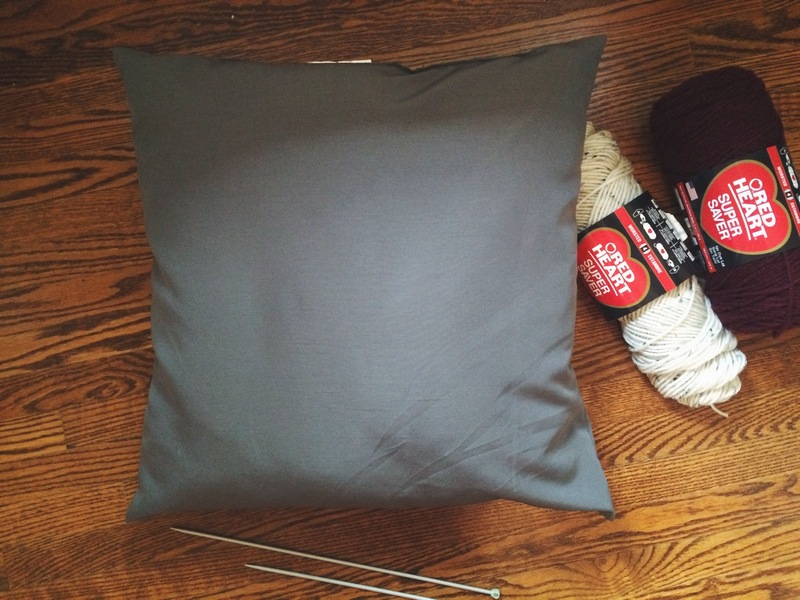 For my IKEA pillow, which was 20 inches across, I cast on 80 stitches. 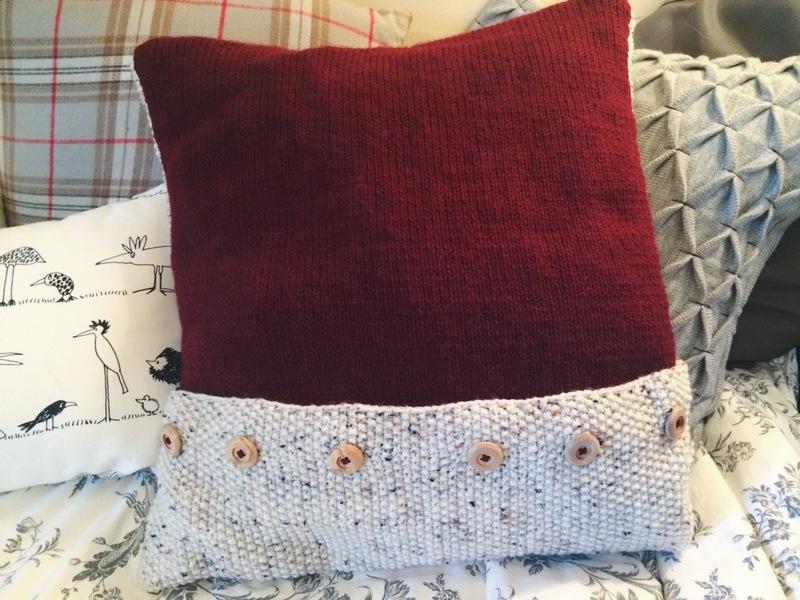 Note that this pillow is in an ‘envelope pillow’ style (it’s worth looking up a sewing pattern to get the gist of it — there are many great ones out there). You will need to create a front and back piece to be sewn together. Rows 1-199: Knit in a seed stitch. Mark the start of row 160 with a stitch marker as this section will fold around to the other side of the pillow. 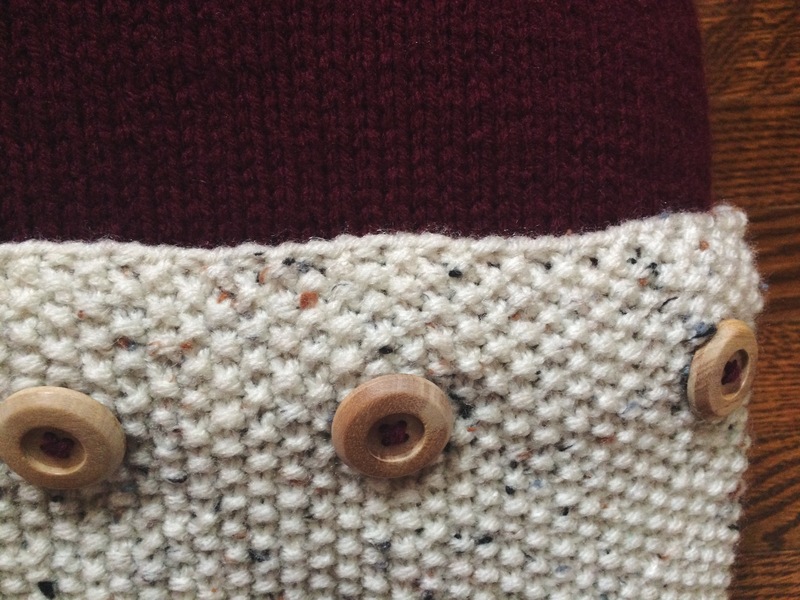 Row 200: If desired, add button holes. This step is optional as the envelope style will hold its shape without them, but I wanted to experiment with button holes (it was a new technique for me). I planned for 6 button holes across the row and marked them with stitch markers to ensure proper spacing. If, like me, this is your first time knitting button holes, I strongly recommend referencing this video from KnittingHelp.com — it was hugely helpful! Place the front folded side up (the button holes should be facing up), and place the back piece over top purl side up. The two pieces should be overlapping and the button holes should be covered by the back piece. Weave together the three free sides, leaving a 3/4 inch seam. Note: Since seed stitch yields a wider fabric, you may need to stretch the knit fabric to make it fit. It can be a little tricky, but the trouble is worth it! Turn your pillowcase inside out and you should be left with an envelope shape. Add your buttons underneath the button holes to finish.